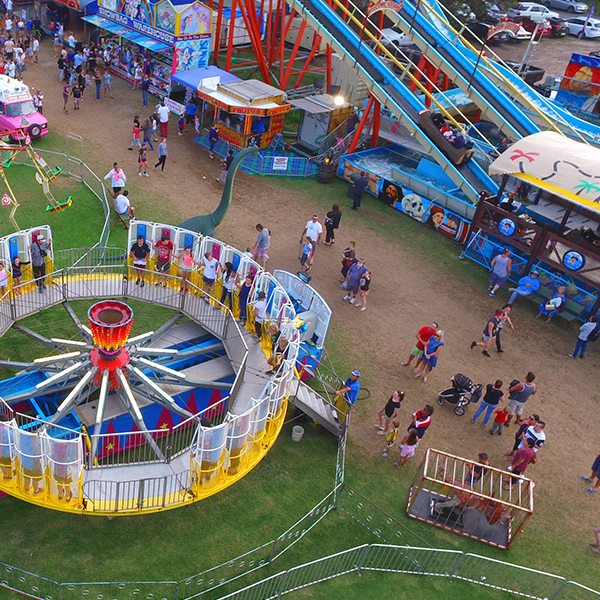 Joylands Amusements has been involved in a lot of festivals over the years and has the experience and attractions to cater for any size. We can organise your entire event ! From roaming entertainers, food, side show games and stalls to all your ride requirements. From initial meeting and site inspections through to operation, logistics and completion of your event. We can also offer different ways to work with Joylands. OUT RIGHT HIRE – Pay for your event outright which gives you total autonomy on the day. You run it how you like, charge what you want and retain 100% of the money. Joylands coordinates all entertainment, operations etc. PROFIT SHARE – Contact out office to discuss your event and see if a profit share event would suit your requirements. Contact Our Office today to discuss your next event. Joylands has won over 50 awards for our attractions in the last 5 years. Our Rockin Tug has been the gold award winner at almost every Royal show since its debut in 2004.